STRANDED features a diverse group of everyday paranormal enthusiasts as participants. Each of the six hour-long episodes features participants stranded at haunted location for a week and must record the entire experience themselves. The footage from the subjects’ cameras is supplemented by strategically-placed security cameras at each location, creating a suspenseful, completely unscripted first-hand account of each group’s stay. Over the course of the participants confinement, the subjects contend with increasingly pervasive feelings of fear and desolation, resulting in an experiment that represents a unique combination of psychology and the paranormal. 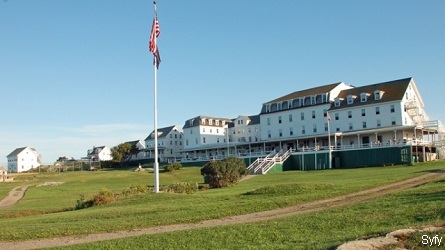 Star Island an old 50,000 square foot, 200 room Hotel and religious retreat is big with 32 buildings and sits on a 50 acre island Isolated ten miles from the coast of New Hampshire in the Isle of Shoals, cut off from the mainland by the Atlantic Ocean. 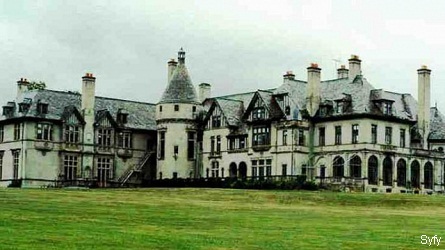 “Seaview Terrace” Carey Mansion is a stone-clad 40,000 square foot Gothic mansion that has more than 50 rooms. The estate sits on 20 acres of land and includes a chapel, large ballroom, theater, art galleries, basements, and a massive pipe organ. All Isolation far back from the main road in Newport, Rhode Island. The West Virginia Penitentiary is a fortified compound more than 5 city blocks long that sits on 12 square acres of land. The main prison has 500 operating cells on 4 floors as well as a rec yard, chapel, mess hall, administrative offices, tunnels, and a basement. 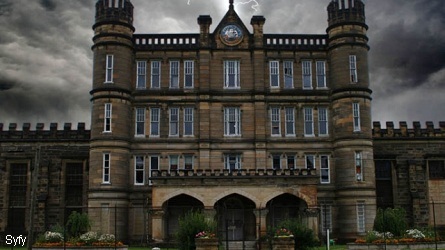 Located adjacent to the town of Moundsville, but is isolated behind fortified high walls. Watch STRANDED’s host Josh Gates introduce his new show! STRANDED – Sneak Peek: Who or What opened the window? Stranded – Sneak Peek: Smell a Ghost? If you thought Paranormal Activity was scary – get ready for Stranded. Jason Blum, producer of the Paranormal Activity movie franchise, Insidious and Sinister, serves as an executive producer; as does Josh Gates, the host and co-executive producer of Syfy’s popular series Destination Truth. 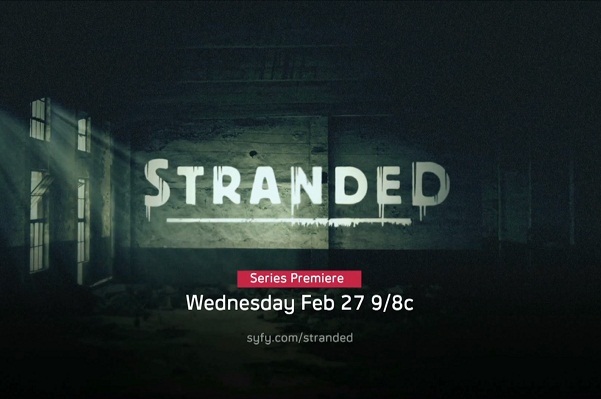 Stranded – Premieres Wednesday February 27 at 9/8c on the Syfy Channel. I would also love to be a particapant in this I’ve had ghostly encounters my whole life and have always been smitten with the paranormal please if you have a second season and need people email me at dddsgirl2002@yahoo.com, and josh I love you I so miss D.T. I have searched everywhere to apply to be on this show. Where do I sign up? I also would love to be on this show. I have searched everywhere to find where to sign up but have not had any luck. If you do another season please e-mail me purplerain1631@yahoo.com, or let me know where to sign up. p.s. Great show. Hi, my husband would love to go to gothic mansion, or wherever good place yous have… He’ d want me to go,but I say him & my younger son Jake & my mom would be funny..But she’d Never Go! My two sons and I would LOVE to be on an episode of Stranded. I have looked all over to find a place to apply but can’t find anything. We have seen every episode of Ghost Hunters and Destination Truth! Here’s crossed fingers for Season two!!!! Would love to find out how to be a part of the show stranded. Watch it every week. Please let me know how to be a participant on show. Hello, I love this show , BUT I hate it when you but people on this show that will not stay in the rooms to face what is going on.. You need to tell these people that went to be on the show to step up and face what is coming to them.. I would love to be on this show , I know I would not run from the noise I would here, .. Please I love shows like this and I watch all of your shows , but if you don’t do better I’m going to look somewhere else .. I would love to do the show , I do but don’t believe ..
Hi,i am hoping to be picked for your new show stranded.My wife and our two freinds are big fans of the paranormal,we have gone on hunts for about 4 years now around ohio and watch all syfy shows.We are all around mid 40’s to mid 50′ of age and are young at heart.We are fun to be around and think would be a good fit for your show,the way i’ve seen comments and the way we feel is that most people like the moments of contact but not people acting afraid.Thanks for taking time to read this. Hi Josh! I was born and raised on Maui, and with the many superstitions on the islands I’ve always been fascinated with the paranormal. I would love to be on an upcoming episode if there will be casting call? Can’t find anywhere online to apply to be on the show. My husband is a true non-believer, and myself and my Mother are in full agreement that there are unsettled souls in the afterlife. Hope to hear from you! Hey, I would love to be on the tv show stranded! I searched everywhere and couldn’t find where to sign up at. I’m a nurse and have also seen things from the other side. So when you cast again please consider me. I’m from a very small town in Minnesota and we don’t get many chances like this. My family thinks i’m crazy for believing in spirits. Sooooo please consider a very small town girl from Minnesota. The paranormal is what I live for, my husband is a non-believer of course. But my nephew is with me and would love to do this. I would love to hear from you! Grandma and seeker of the paranormal. I live for road trips and adventure into the unknown. And son-in-law SCEPTIC an eclectic blend to say the least. Any info about casting is greatly appreciated. My friends and I think the show is awesome. We have been looking for a way to sign up to be on the show but can’t find anything. Where can we go to sign up. Any information is great. I’m a true believer in paranormal things,I’m like a magnet to ghost, I’ve been scratch choked seen things heard things, been pushed and yet that doesn’t bother me,i really really would love to be on this show,i think me and my friends would be great for this show, so pleassseee give us a chance to be on this amazing show!!!! I would love to be a part of this show. Is there anywhere to sign up? If so please email me! I have seen things and debate with my skeptic friends all the time. The 3 of us go back and forth on the regular. I would love to do this with them to prove to them that the paranormal is real. I would love to be on the show. I have had near death encounter’s and have seen ghosts that have been related. Is there anyplace to sign up? Please email me with any website to sign up at. I have several relatives that say they don’t exist, I would love to shut them up and make true believers of them. Very interested!!!!!!!! I too am curious on how you go about being on Stranded? I have always been interested in the paranormal, and although I have had quite a few experiences, its never been anything concrete. I am a believer 100%, my husband is right behind me in those beliefs but also sometimes waffles with those beliefs. My father-in-law, big man, huge skeptic….to the point he shows disdain when we have discussions about these things, and you can tell he finds it humorous, as though we are idiots. I want him to go along. I want the big bad man to get the pants scared right the hell off of him. 🙂 If there is any way you can help, even direct me towards where to go to apply, that would be great! As for running away from the things that scare me, I am the opposite and would look for that which scares me. Its the whole point. (I would try my best anyways, depends what you put me up against). Thank you!